We just completed this impressive full bath addition/remodel. 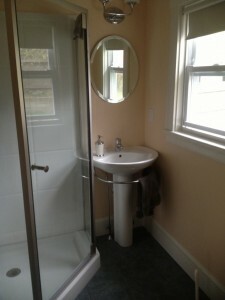 Our customer had an existing half bath, relocated all fixtures and added a shower. The pedestal sink installation allowed for the extra room to add the shower stall. We worked closely with the general contactor to keep this project on schedule and perfect at the finish. Whether working directly for the home owner or the general contractor, we always aim to please and ensure that all involved are 100% satisfied. We are committed to superior service. Call us 508-875-2593 Monday-Friday 8:00AM-5:00PM to set up a visit. 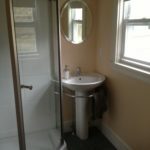 We can help you with ideas and options for your bathroom remodel or addition. 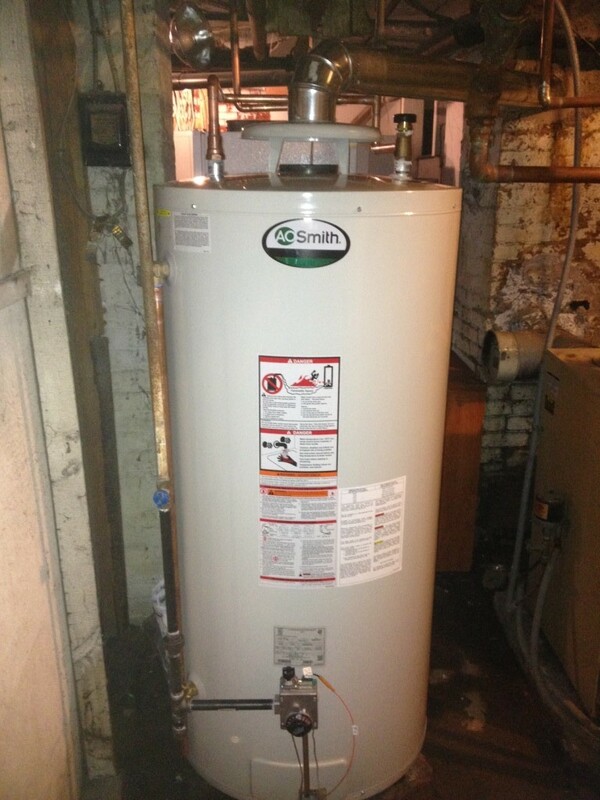 We installed this 75 gallon gas water heater last night for one of our customers. The tank started leaking and they last hot water just before dinner. With many residents and a need for hot water we were able to dispatch a crew to the site, and have hot water restored within hours. Our trucks are always ready for emergency hot water tank replacement. If you see any of these signs: brown rust water, moisture around the tank base, drips, inconsistent or lack of hot water, call us immediately. In most cases we can give you a price and timeframe right over the phone.